Hi folks, I turn the microphone over to a special guest host in order to get out a Fifth of November edition of Uncle Warren's Attic. I hope you enjoy the change of pace! 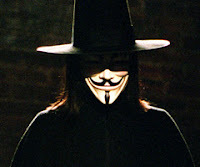 And if you don't own V for Vendetta yet, well, click here. Download podcast by clicking podcast icon or here.